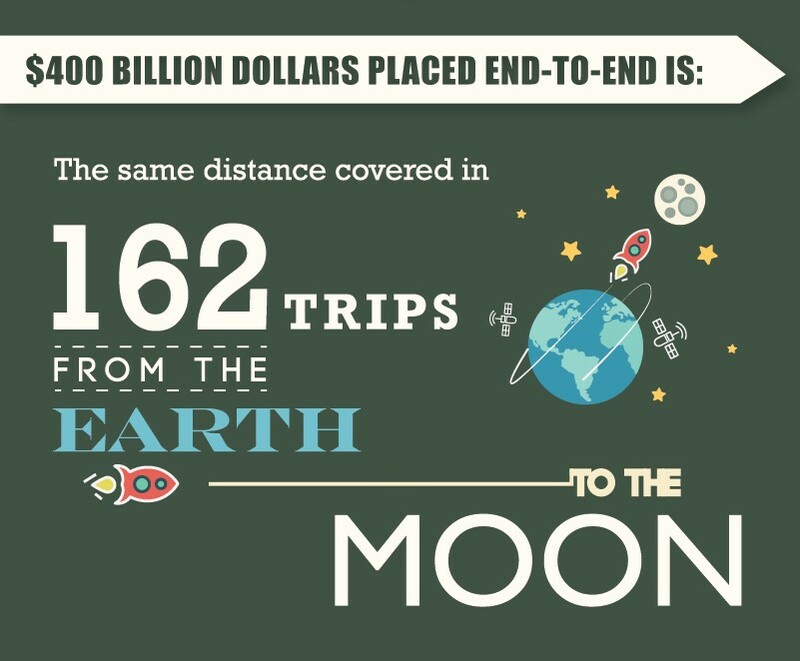 Did you know that if you placed $400 billion dollars end to end, the bills would cover the same distance as 162 trips from the Earth to the moon? Or that if you ever got your hands on this exorbitant amount of money and decided to count it, you could go through three bills per second and it would still take you 50 lifetimes to do it! 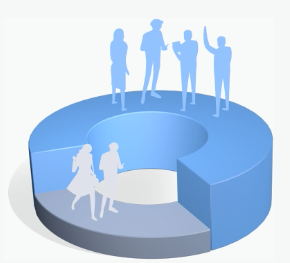 Make your data easy to understand and snackable just like this graphic using Visme. These kinds of visual comparisons which use more relatable images and figures to make extraordinary amounts more understandable are commonly used among visualization experts. 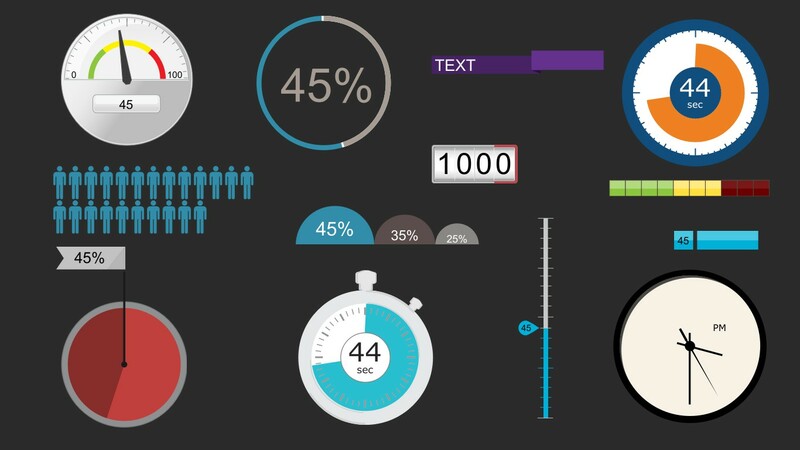 This is why Visme, an online infographic and presentation tool, offers several infograph widgets that enable users to visualize numerical amounts--whether it be percentages, distance, time or space--using visual comparisons such as units of people, speedometers, timers and digital dials. 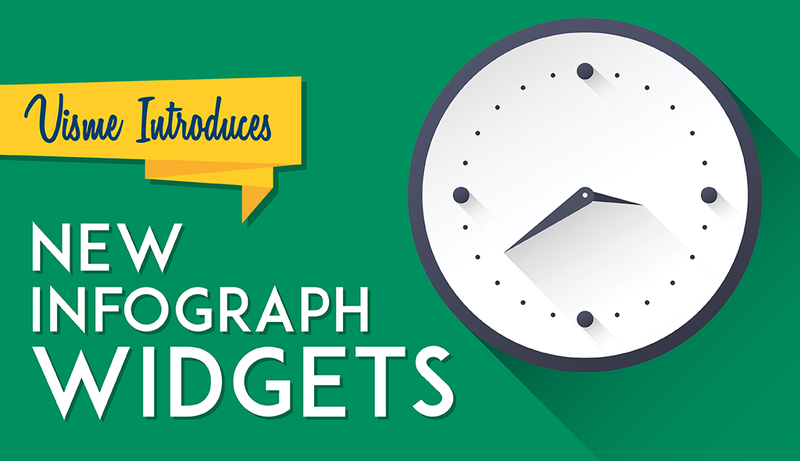 In the past month, Visme introduced two new infograph widgets--a counter and clock--to help users visualize different amounts of time. In this short step-by-step tutorial, we'll show you how to use each of these in your slide decks and infographics to get the most out of each of them. 1 Display different time zones. Let's say you're creating a slide deck on the opening of different office locations across the world, and you want to visualize this with a map and the actual time in these different cities. You can now do this in Visme with the new Clock infograph widget. To access it, simply click on the Charts and Data widgets icon on the toolbar on the left side of your screen, and then select the Clock widget at the bottom of the panel and drag and drop it where you wish on your canvas area. Next, re-size and re-position it as needed by clicking on the corner handles and dragging and dropping them until you reach the desired length and height. You can then further customize it by clicking on the object and modifying the settings in the pop-up menu. For starters, you can change the appearance of the clock by choosing from one of three different styles: 1) a minimalist analog clock with no numbers and lines to indicate seconds and minutes; 2) a more elaborate analog clock with numbers, minutes and seconds; 3) and a digital clock with seconds and minutes. Also, you can choose to display the actual hour by simply activating the Real Time option in the pop-up menu. However, if you want to display another time, you can deactivate this option and insert a specific hour, minute and second, as seen above. In the Settings menu, you can also choose to either show or hide the seconds hand and AM or PM, as seen above. The Real Time option will display your PC's time. If you want to change the time zone, first change your PC's date and time settings. 2 Set times for quiz questions. If you're an educator, trainer or speaker of any sort, this time visualization widget may come in handy. 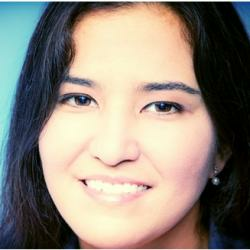 Let's say, for example, that you want to pose a quick question or conduct a short quiz as part of your presentation. You can do this by inserting a timer on each of the slides to indicate the amount of time allotted for each question, as seen above. If you want to keep your audience members on their toes with a few surprises here and there, this is a great way to do it through an interactive slide deck or presentation. Educators, trainers and speakers in general will find this feature useful for standalone slide decks or live presentations. Another way you could apply these new infograph widgets is incorporating a countdown into a self-running slide deck before an event starts. For example, if you have an event that starts at a certain time and you want to play short video clips before it begins, you can run a standalone slide deck and include a countdown timer on each slide. Also, if you're going to give a presentation within a strict time limit, you can also rehearse with timers on each slide to make sure you don't go over the number of minutes allotted, as seen above. You can individually change each of the timer's colors and apply schemes from Visme's set of 50 color combination presets, as seen above. 4 Display cooking times in a recipe. Let's say you want to create a visual recipe and want to include preparation and cooking times in your design. You can easily do this with Visme's new infograph widgets, as seen in the example above. You can set the timer to display either seconds, minutes or hours. Then choose the range to visualize the percentage on the timer. 5 Show the current time. Finally, you can also display the current time, as covered in the first point above. This can be especially useful in cases where you want the audience, such as a classroom-full of students, to view the current time throughout the activity or presentation, as seen above. Make sure the time on your PC is correct as this will be the hour displayed by your clock. Make boring data more engaging and relatable using Visme's new infograph widgets. Create these mini data visualizations with just a few clicks to visualize quantities of distance, time or area.